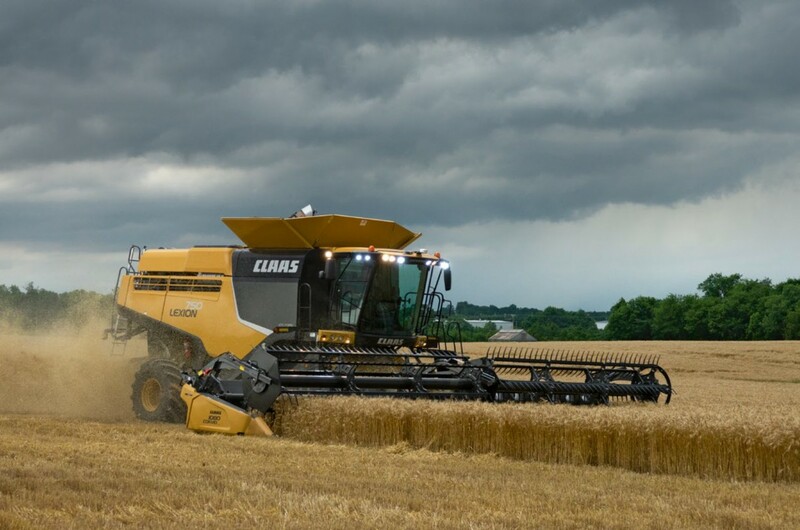 Time is money and we at CLAAS know you expect the highest possible productivity from your combine, so we are committed to bringing you just that. 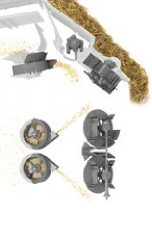 From the moment the crop flows into the feederhouse and into either the APS HYBRID SYSTEM (LEXION 700 Series) or APS straw walker (LEXION 600 Series) threshing and separation system, to the moment the clean grain hits the grain tank and residue is spread, we offer more capacity, more performance and more efficiency. New header drive technology offers stronger, more efficient power output to meet the demands of larger headers. Protection against foreign bodies and other causes ofdamage: the feederhouse brake allows the header to stopimmediately if necessary by pressing the button on themultifunction control lever. 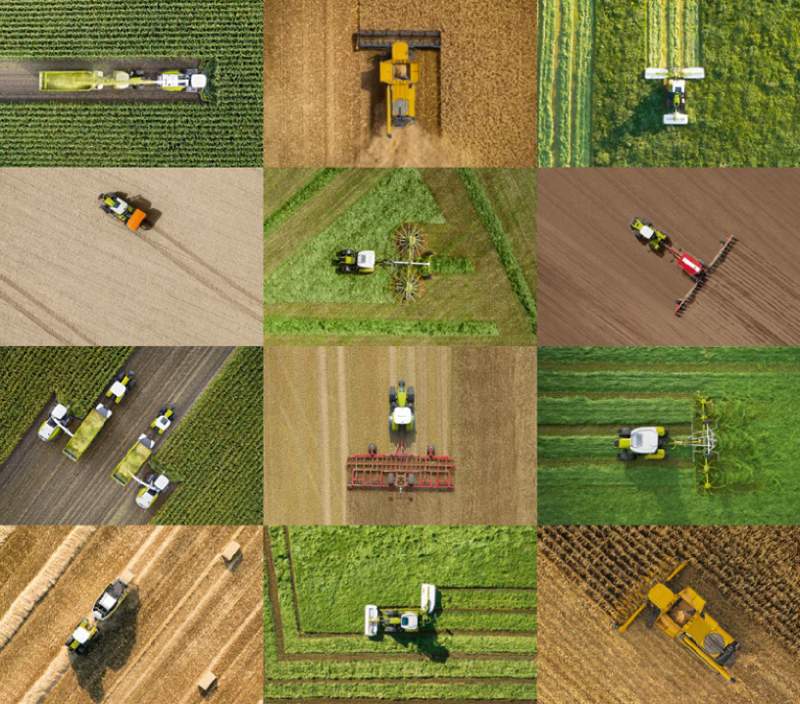 AUTO CONTOUR enables the header to automatically followthe field’s terrain while harvesting. Simultaneous lateral andvertical terrain compensation enables the header to accuratelyfollow the terrain to ensure consistent cutting height. Automatic ground speed control with CEMOS CRUISE PILOT. Automatic overload prevention with CEMOS AUTO CROP FLOW. 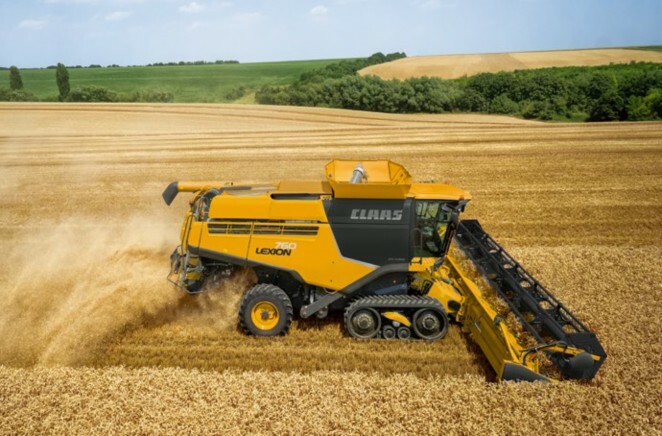 The APS HYBRID SYSTEM on the LEXION 700 Series is acombination of two industry-leading technologies: theAccelerated Pre-Separation (APS) threshing system and thehighly efficient ROTO PLUS dual rotor separation system. 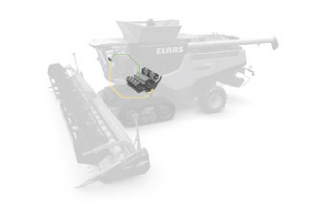 Only CLAAS integrates both systems into one machine,giving you a significant competitive edge over othercombine processors. The crop flow is accelerated (optimized) before threshing toensure gentle and effective threshing. The crop mat is spreadevenly over the entire width of the threshing system,smoothing out any dense wads of material. Up to 30 percentof the crop is pre-separated at the pre-concave, resulting inmore efficient threshing due to a thinner crop mat. 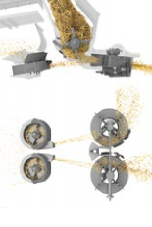 The ROTO PLUS separation system features two counterrotating,17.5 in (445 mm) diameter rotors to generate moreseparation force, more efficiently, than combines with a singlerotorprocessor. When that force is combined with the 14 ft(4,200 mm) rotor length, the result is the industry’s highestcapacity separation system. The rotor returns pan deliversseparated material to the pre-cleaner for maximum cleaning. 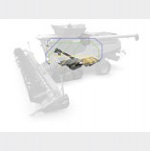 Automatic threshing cylinder speed and concave adjustment with CEMOS AUTO THRESHING. Automatic rotor speed and rotor cover plate adjustment with CEMOS AUTO SEPARATION. 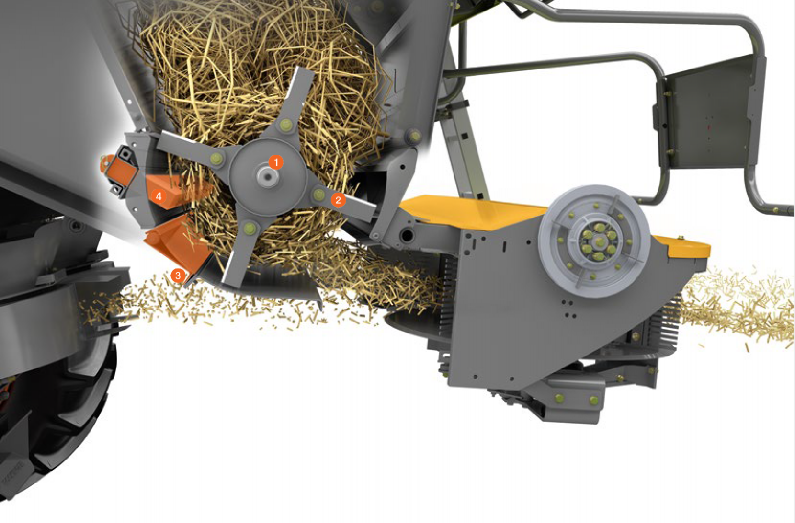 The APS straw walker system on the LEXION 600 Series usesthe same high capacity APS threshing technology as theLEXION 700 Series. The APS threshing system allows theLEXION 670 to excel in capacity due to the reduced amountof grain needing to be separated by the straw walkerscompared to competitive straw walker combines. 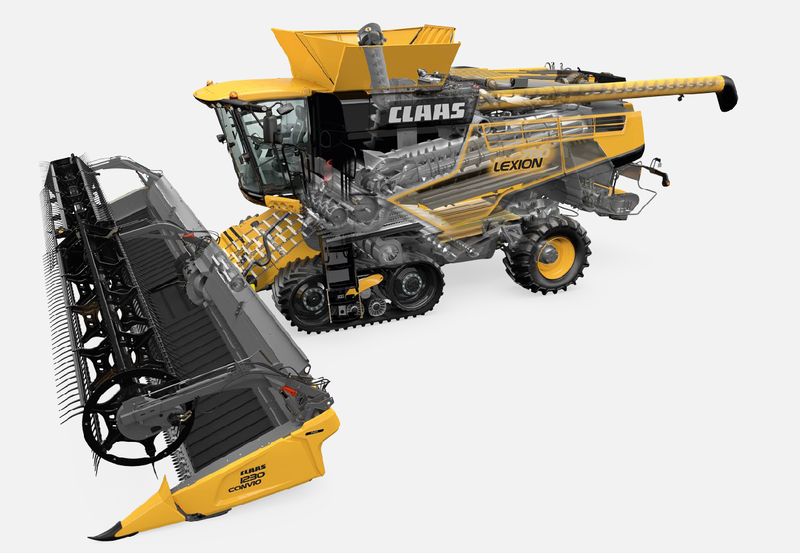 The LEXION 670 features a six walker separation systemenhanced by the patented Multi-Finger Separation System(MSS). The MSS drum, with its retractable fingers, combsthrough the crop mat for added separation performance. Thetiming of the MSS fingers can be adjusted, making them moreor less aggressive depending on the condition of the crop. The JET STREAM cleaning system is designed specifically tomatch the capacity of the APS HYBRID SYSTEM. Withits extra large upper sieve area and high performanceturbine fans, the performance of the JET STREAM systemis unmatched. 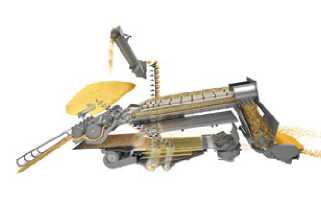 The preparation floor conveys the processed grain and material other than grain (MOG) to the cleaning system. As it does so, its exclusive shaking action stratifies the heavier grain to the bottom layer and chaff to the top layer, making the cascade pre-cleaner’s job more efficient. 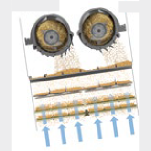 Automatic fan speed and lower/ upper sieve adjustment with CEMOS AUTO CLEANING. All LEXION combines are equipped standard with powerfolding bin extensions. Constructed of steel, the extensions are controlled hydraulically from the cab and raise and lower rapidly to avoid any downtime. Unloading the LEXION grain tank is fast and efficient with its heavy-duty drive. The #80 O-ring sealed chain increases the service interval for greater uptime and longer chain life. PRO CHOP is an advanced residue management system for small grains and has an effective spreading width of up to 45 ft. TURBO CHOP is a high performance residue management system for corn, soybeans and small grains, and has an effective spreading width of up to 45 ft. The standard chopper is the entry-level chopper with a spreading width of up to 35 ft. The tailboard is equipped with adjustable vanes to fine-tune the spread pattern. 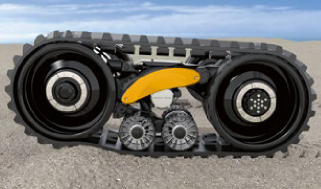 The LEXION hydrostatic ground drive delivers industry-leading torque for maximum operating efficiency, no matter the conditions, and is easily controlled using either of the two multi-function lever options. As the air is forced out through the vents in the side panels, it creates a curtain effect that forces dust and debris away from the combine, preventing it from being pulled in by the cooling fan. This results in a significant increase to the air filter service interval. The DYNAMIC COOLING fan is variable speed and adjusts automatically to the temperature of the engine. 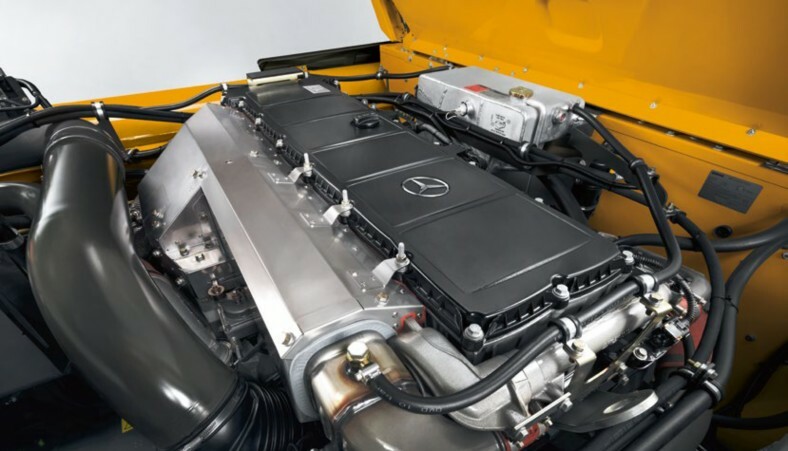 As the engine heats up the fan speed increases, and as engine cools the fan speed decreases – resulting in significantly less power required to run the cooling fan compared to conventional fans running at a constant high rpm. 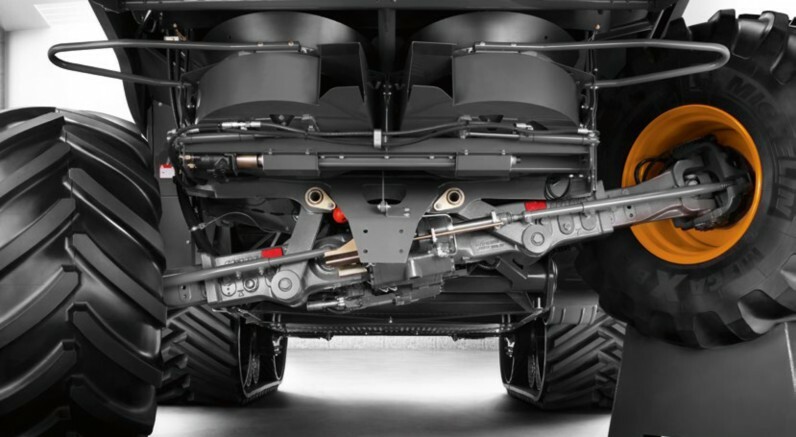 The center link steering axle, developed by CLAAS, pivots at the center and features a center-mounted single steering cylinder and larger turning angle for an improved turning radius over previous steering axles. 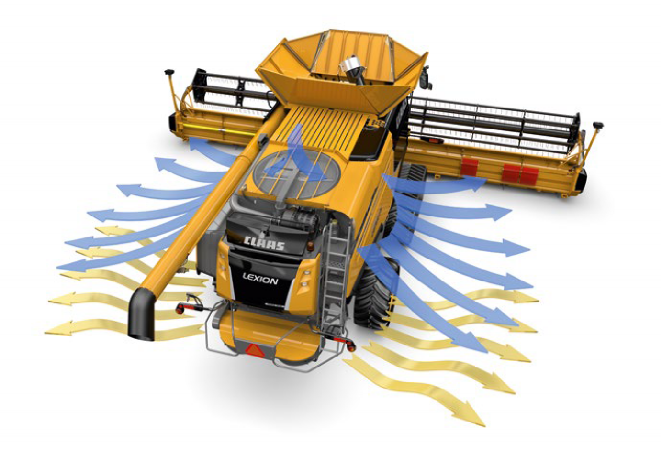 POWER TRAC is a combine rear wheel assist system designed by CLAAS specifically for LEXION combines. It features a large hydrostatic motor connected to a differential mounted centrally to the front side of the rear axle. Power is transferred from the differential to planetary wheel drives by drive shafts running through the axle. 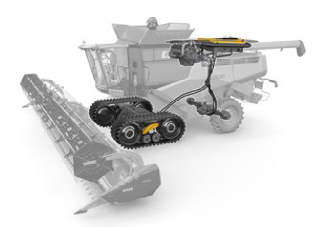 POWER TRAC gives LEXION combines 33 percent more rear wheel tractive power over conventional hydraulic wheel motor systems. Low ground disturbance at harvest maintains good soil structure and enables optimal plant growth in the next season. Leading performance, comfort and convenience. The generation three TERRA TRAC offers the highest quality ride with the lowest ground pressure. Its exclusive fullysuspended in-line design ensures more efficient transfer of power to its 35 in wide belts for maximum traction and leading flotation. 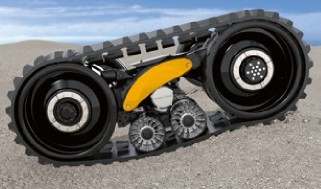 Hydro-pneumatic cylinders dampen the movement of the track frame as it takes on the shape of the terrain to ensure full belt contact for reduced compaction and leading comfort and stability.